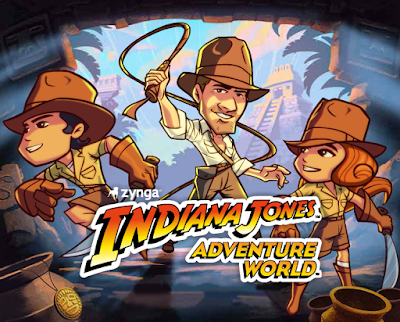 Indiana Jones Adventure World was a free to play online social game for Facebook that was an officially licensed game in the Indiana Jones series. The dialog in the Indiana Jones portions of game was written by Hal Barwood, of Indiana Jones and the Fate of Atlantis and Indiana Jones and the Infernal Machine fame. It was a casual adventure game, as the puzzles that are there to solve are not hard, and the game was meant to be played in short intervals. 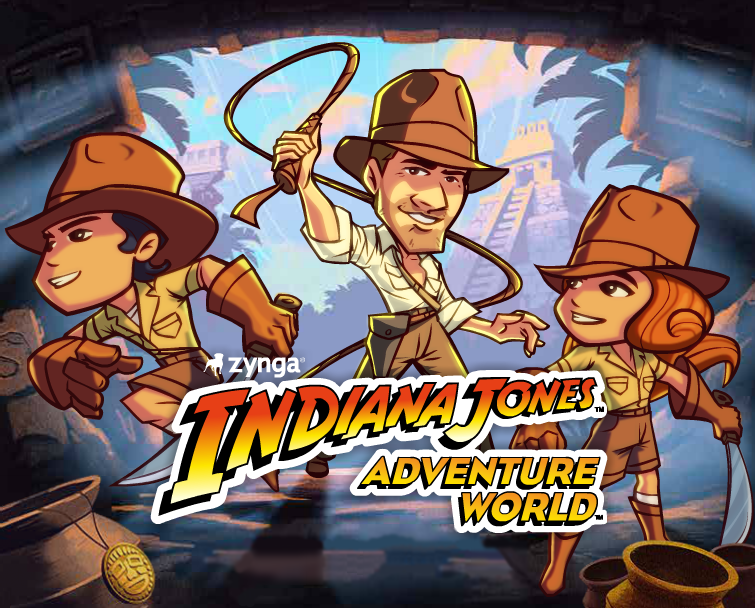 The game blended the Indiana Jones lite style gameplay as seen in Indiana Jones and his desktop adventures with the gameplay in Zynga's other games such as Farmville. There were quests that could be performed where artifacts were collected and simple puzzles were solved, but the main part of the game took place at base camp, where farms could be built, as well as wells, oil rigs, and plants. These all gave you health and energy that you need, as gameplay was limited to how much energy you have at a given time. You didn't play as Indiana Jones, but rather as either a male or female who is a new recruit to the Adventure Society, a society which Indiana Jones had correspondence with. As it was a social game at it's base, many quests and objects can only be completed by getting friends to join and send items or by purchasing the items with real money. When it was originally released in September 2011, the game was simply called Adventure World, but beginning in October 2011, Indy was gradually added into the game until it became Indiana Jones Adventure World on November 29, 2011. Originally, you simply set up a mailbox in your base camp order to get the letters from Indy. After the title change, a new chapter was added called Calendar of the Sun where your character teams up with Indiana Jones on missions to retrieve artifacts. Other Indiana Jones chapters were added periodically after that, until Indiana Jones Adventure World was shut down on January 14, 2013. Because Indiana Jones Adventure World was never released at retail, it is no longer available to play in any form.